I never wanted to fall for a man. And definitely not two men. They tear me apart until I don't know how I'll ever be whole again. Until I'm not sure I want to be. How can I choose between two halves of myself? 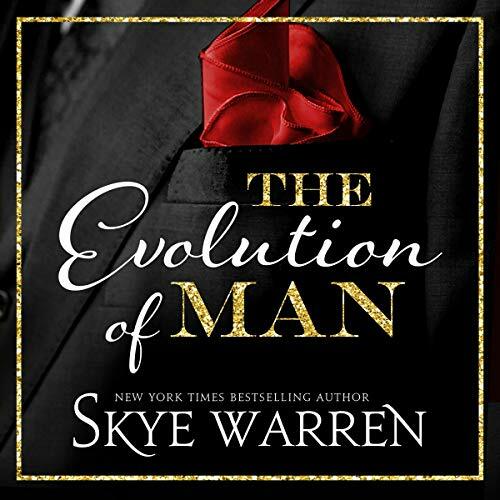 The Evolution of Man is the second novel in the USA Today best-selling duet, which begins with Survival of the Richest. There is angst, mind games, buckets of money, power struggles, love triangles, art and civic responsibility (see those last two, I told you it was sophisticated ;) It had me guessing right up till the end. I can’t wait to revisit this world and these characters. Erin Mallon is a dream narrator and Skye Warren slays the game. I would recommend this to fans of reality tv and Greek mythology. This is supposed to be the end of this duet and IT IS, but I can’t help be disappointed. And it has all to do with me, I pictured a different ending but don’t worry it’s HEA. Warren has a writing style that’s making the characters come alive and made realistic. The storyline in this duet is nicely built up and moves slowly through a labyrinth of emotions and feelings. There’s some beautiful and intense love scenes that I will remember. No unnecessary descriptions of surroundings. Clear pronunciation and read with feelings. Love... love... LOVE this couple! Erin Mallon is fabulous! Her narration is seriously some of my favorites! She has this voice that really works for everything and everyone. I adore her voice! Oh wow, Skye Warren knocked this book outta the park! It’s way outta there! 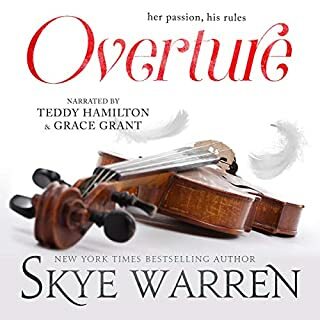 I’ve read several of Skye Warren’s latest books and this duet, or trilogy depending on how you look at it, is probably one of my favorites! It was sooo emotional! Skye Warren writes like a dream… steady and so full of life and emotion. Ms. Warren took her writing, her story, her characters to a whole nother level… it was so charged with emotion. Feeling all of Harper’s pain… all her thoughts and how desperate she felt at times; it really made you feel like you became a part of this story. It consumed my mind for days once I finished the story. I struggled back and forth with how I wanted this to go… with what man I felt Harper should end up with. Gah… it’s so hard to write a review on this book. This was one of the best conclusions that I’ve read. I tore through this book. It was so fast-paced. The heat level was perfect and so hot! Ms. Warren tells a fantastic story… I loved the way she made me question what I really wanted to happen. There were twists and turns, again, that made me question my own thoughts. 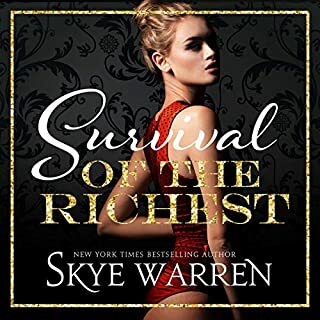 I loved the last few trilogies/stories that Skye Warren has given us but this one, it is just really full of heartbreak and inspiration. The Evolution of Man (The Trust Fund Duet #2) takes place six months later. This is not your typical love triangle as it's more about civic duty and the arts, mind games, power struggles, and wealth of money. This author creates dark & edgy character's who remain a mystery through most of the narrative. Supporting character's accentuate the narrative. The electrifying moments between Harper, Christopher and Sutton were stormy. I absolutely loved the depth of her tales, the complexity and flaws of her characters, the web of lies, intrigue and angst she creates which makes things that happened unexpected. A fabulous duet with an ending that leaves you desiring more with unanswered questions. Erin Malon ended this duet perfectly. Her performance was impeccable. This is the second part to Survival of the Richest. We ended off with Harper being at odds with both Christopher and Sutton. Now Harper and her mom have moved to Tanglewood. Harper's mom only has months to live, and Harper is dead set on restoring the library. Throughout the majority of the book we don't see very much from Christopher but we do gets bits and pieces of understanding of where his mindset is at. Sutton seems to be Harper's knight in shinning Armour. 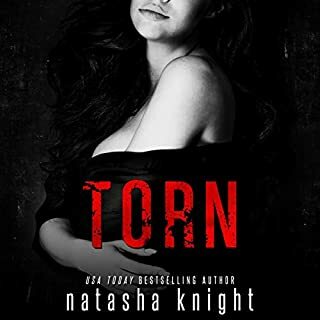 Helping her navigate the pain and hurt she is dealing with from losing her mother and pushing all those feelings into restoring the library. I loved the overall storyline, the side characters were a strength in building Harper, Christopher, and Sutton up. I liked Harper a lot more in the first book, but felt she was a bit wishy washy in this one. After the way she left things off with Sutton I would have expected her to break off ties with him or at least for him to apologize and grovel a bit instead it was almost like it never happened in her eyes. Christopher was more of the hurt party between the two and she claimed to be so in love with him, but she still wouldn't give Sutton up and actually used him to get to Christopher. There is a whole twist with Sutton that kind of came up and disappeared just as fast, that really should have been more developed because the set up made it seem like useless knowledge. What really made me feel like this was more of a 3 star instead of 4 or 5 star was the ending. we have two books and a lengthy prologue to get to the final conclusion, the final decision of who she chooses and once we get there is was really anticlimactic. Without spoiling for anyone - Harper finds out that one of them lied about "something" - I can understand why he lied because it was to help her and make her feel better - she asks him if its true and that is it we never hear or see him again. Much later the other one shows up and all is right with the world they are together the end. We still dont get any further insight on the person she actually "chooses" or any actual development on their relationship. With that said/observed I still really enjoyed the journey, it was still a great read that I would recommend. I just didn't like the ending, and maybe someone else would like it more than I did. The Audio by Erin Mallon was wonderfully done. She is one of my favorite narrators and as always amazing. The relationship part of this book ended the way I wanted. I was certain it was going to go another way but nope it ended exactly how I wanted. It did bother me not to have an epilogue. I needed the epilogue. I'm hoping for maybe a short to follow or better yet a third book. Please Skye give me an epilogue if not another book. This was a perfect follow up to the first book. The ending did lack details that I wanted to know. I prefer to know exactly what's going. I wanted to know less of how she spent her trust and more where they are in the relationship. It Could be this isn't the end, fingers crossed. As always Erin Mallon killed it. I love that I’m this story Harper finds out the truth both in her personal life and also which what she wants to do with the trust fund. Harper had to learn what she wanted was it Christopher’s was it Sutton. I am glad she figured it out. The only thing I can say is that the book left me wanting more. The story still had loos threads to tie up. You should make a book 3. As always the narration by Erin Mallon was spectacular. Oh my word... this second book is wonderful! The continuing story, bu Skye Warren, is so very absorbing! You think that things should settle down for Harper, but they sure don’t! Christopher and Sutton are gone, but not really. Christopher has hurt her badly. She’s loosing her mom, has lost both men, and now owns the library! The library becomes a symbol to her... she can’t lose it... she has to restore it. It feels like it’s all she has left. There is so much going on in her life, and it’s all bad. I am not a spoiler person, so I’m not saying more, except that this is so worth the time it takes to read or listen to. Skye Warrens works speaks for itself, every time! This one is no different. 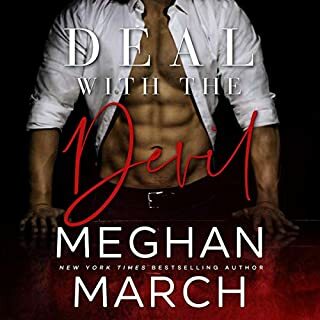 Erin Mallon was an amazing choice for narration of this story. Her ability to emote and make you feel everything each character feels, is such a draw for me! Every fear, everything that makes them angry, everything that makes them vulnerable... is in her voice! She is so good! This book had some great steamy scenes. I am glad she was able to help provide for her mom. I liked the book but it took a weird turn in one area and never gave the reader much needed answers. So many odd things were done by Christopher and I felt we deserved some kind of explanation, backstory, etc. Something! Also it doesn't give an ending. Frustrated to get so involved and engrossed in the story but weren't given what we needed. The narrator really did an outstanding job, her voice and passion really drew me in. Great Conclusion to the Trust Fund Duet! The whiplash and emotional chaos continues in the finale of “The Trust Fund Duet”. Skye Warren does not disappoint as she concludes Harper, Christopher and Sutton’s story. Some rooted for Harper and Christopher, others rooted for Harper and Sutton. To love two men or to think you love two men. The saving of the Tanglewood Library, the symbolism the beautiful dialogue, there is so much in this story. And there is as much angst, drama, twists and heat as in book 1, it is another rollercoaster ride of emotions. No spoilers here but it all comes to a head, the fighting ends and finally there is peace. Skye Warren thank you for this great story! Six months later, and these confused characters are still trying to figure out who they belong with and why. I couldn't wait to listen to Harper, Sutton and Christopher's story and how it ended up. I have to say, Skye Warren has packed this story full, including wealth, love, health and relationships with not only significant others, but parents and friends. It's fast paced, full of twists and turns and steamy scenes. I at times could not decide who I liked and who should be together, and I loved that. It's not a book that is a cookie cutter romance, but has so many facets, it makes you think as you listen. Harper has it tough, and I am glad I was able to experience her journey with her. Erin Mallon is amazing as always. She has such a great storytelling method that I get lost in her narration. It's full of all the emotions, from love to death and she pulls on the heart strings. A perfect match for the this duet, Mallon brings it all to life.